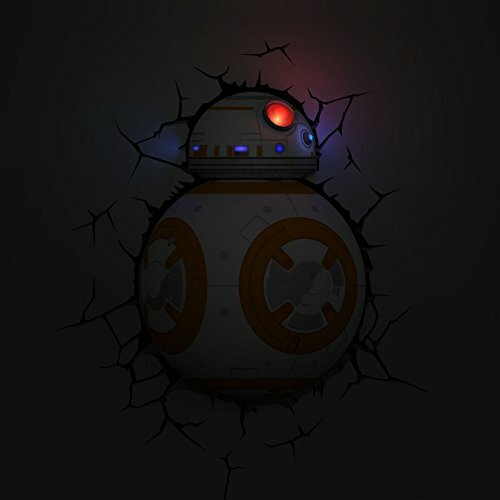 Now one of everyone’s favorite new Star Wars Episode 7 character can be yours with the BB-8 3D Night Light. 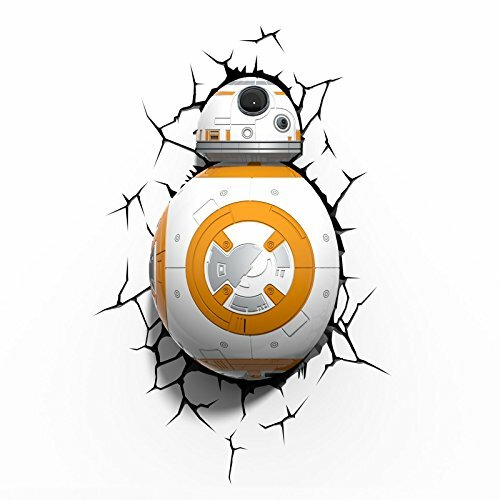 When mounted to the wall with the cracked sticker it will appear as though the BB-8 is breaking through your wall. 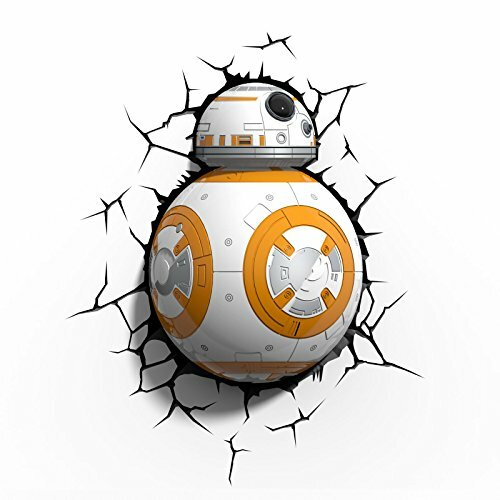 BB-8 is battery operated and uses 3 AA batteries sold separately. The battery operated LED light and convenient on/off/ timer switch makes it ideal for rooms with limited wall outlets. 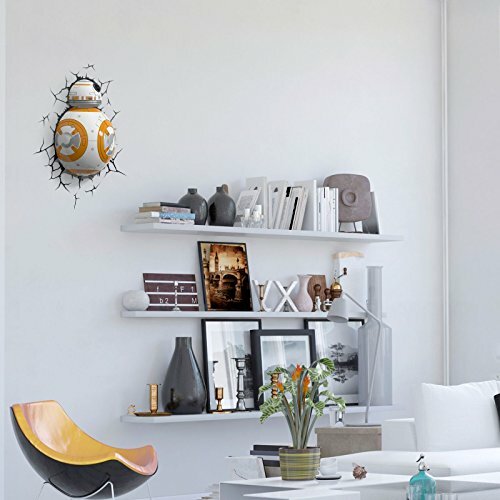 It is sure to be a hit with the Star Wars fan in your life. This is not a toy, please keep out of the reach of small children.